We’re happy to report that the HardFork team has had an extremely productive summer! During the past few months we’ve been working hard drafting, redrafting, and polishing the scripts for season one to insure they’re the absolute best they can be. We’re very proud of the result of this meticulous work and can’t wait to share it with the world. We’ve also been continuing to reach out to cryptocurrency teams and tech companies in the sector to form important strategic partnerships. We’ll be announcing some of these partnerships soon. The first window of opportunity for these initial partners to come on board will soon be drawing to a close as we prepare ourselves for rounds of meetings to pitch the series to major studios in LA. If you know a coin team or tech company who would be interested in being represented in the series, please reach out to our team at: info@hardforkentertainment.io and we can share the many ways in which you can be involved. 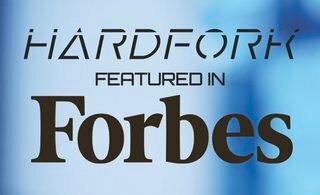 First and foremost, HardFork is being crafted to be extremely entertaining and “binge-watchable” but also designed to introduce millions more people to cryptocurrency and blockchain. We all believe in and are passionate about the potential of the technology to usher a new age of freedom and equality and shift more power to the masses in the process. We all believe that our project, which had its origin right here on the Steemit platform a little over a year ago, could be a key delivery system for a new age of awareness of the sector globally. It might even be a cure for the common bear market. You’ll be the first to know of new developments as we enter into this exciting next phases of our project! 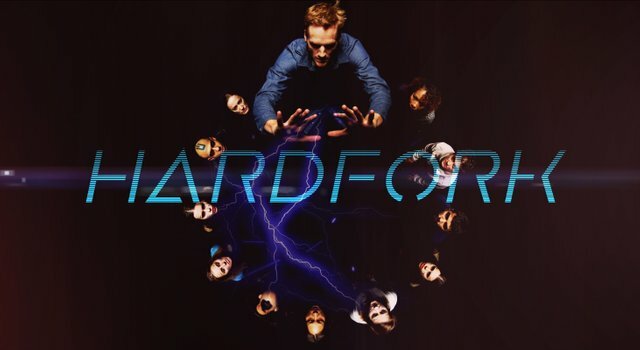 @HardFork-Series is an upcoming narrative film mini-series with a decentralized filmmaking approach to be produced in New York City and around the world, the team includes writer @ericvancewalton, writer/director @dougkarr, star and writer @bakerchristopher, producer @skycorridors, technical lead @complexring, the amazing HardFork-Universe crew, and the entire Steemit community. Please reach out to any and all of us to get involved, or simply reply below and we'll reach out! Awesome project, and I enjoyed watching Naomi's interview with Doug (thanks for the shout out ;D) . Cant wait till this comes out. Thanks for the updates..great work @hardfork-series. Thanks @thejohalfiles! We hope to blow some minds and educate at the same time. It's been extremely fun. To quote the incomparable Naomi Brockwell, "Yesssssssss!!" Your enthusiasm is so incredibly contagious, @dougkarr! Loved watching the interview and hearing once more how everything started. Also thanks a lot for underlining once more the unbeatable value of Steem and the Steem community. Fully agreed on @thejohalfiles' comment: Can't wait to watch the series!! Are you guys gonna travel to Steemfest³? I may be there but I’m not 100% sure yet. If all the stars align maybe we'll see you there! Thanks for sharing us, and waiting for your next update. A successful project, worth encouraging.